The market for displays in recent years can be described as "bland and boring," the biggest reason being the lack of eye-catching new technology in the display market. Today, the simple "dynamic contrast", "response time" and so on the war has made users feel very tired, "LED backlight" and "cheap wide-angle" has become a lack of strength. Without enough innovative design, recent displays inevitably enter a price war, and are a symptom of the industry's decline. The market is in desperate need of new technology. Obviously the major display manufacturers have also seen the crisis, some of the new technologies worth attention have also been introduced, such as the recent popular introduction of 3D, multi-touch, OLED and so on for us to ignite a new hope, but excessive prices are still the threshold of their popularity. Human creativity is the greatest wealth, for the display, the future will be what no one said, at least it can represent a progressive innovation, if the display manufacturers can be very good innovation more effort, I believe that will bring more surprises to consumers. Next or let us go through the limitations of time and space, bold prediction of the future of the display is what it is. 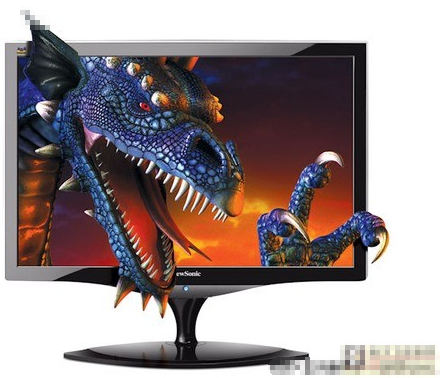 The current 3D display is achieved by wearing NV 3D glasses at a 120Hz panel refresh rate, although wearing glasses is uncomfortable and somewhat unsatisfactory. In this case, the naked eye 3D display technology has a good application prospects, participating in the study of the manufacturers are gradually increasing. Only at present, many domestic and foreign manufacturers have realized the commercial application of naked eye 3D display products, and these products are also involved in a variety of fields, showing a flowering situation. When it comes to bare-eyed 3D displays, Philips began promoting 3D displays as early as 2006, when it won the Gold Medal for a prototype 42-inch bare-eyed 3D display on display at CES 2006. But in the wake of the financial crisis, Philips shut down its 3D display division and stopped selling 3D displays across the board, including the classic 42-inch 42-3D6W02 display, a huge loss for the development of bare-eyed 3D displays. But recently naked eye 3D was put on the agenda again by the manufacturer, a number of new products worth attention are also launched, such as Nintendo's latest 3DS to achieve naked eye 3D, and the latest notebook also joined the naked eye 3D. Compared with the previous use of 3D displays, the new technology has the following advantages: First, when viewing 3D images, users will not cause dizziness, headaches and eye fatigue side effects; second, 3D display, the screen resolution will not be reduced ; Three, can be combined to display text and other 2D images and 3D images; Fourth, there is no great limitation on viewing 3D images of the field of vision and angle, popular point is that the visual angle is large enough. It can be said that the future naked eye 3D is absolutely mainstream, the relevant products are worth looking forward to. While today's liquid crystal displays are becoming leaner and sleeker, and shiny on the front of the desktop, there are always wires behind them that can affect the user's mood and cause some trouble when moving around. Wireless will not be such a problem. Future displays will be completely free of cables, and "wireless" will make it possible for stylish portable displays. Wireless video transmission scheme, although there will be 0.15 seconds delay, but the display of text, web browsing and other primary applications, it is still fully able to meet ; Sony, combined with the BDP-S350 Blu-ray player, and Location free AV transmission combine to achieve wireless transmission of video signals, but the shortage is unable to transmit 1080p resolution of the video signal. Also, we understand that Microsoft will likely provide support for wireless signal transmission in Windows 8. In addition, the "wireless" path to lower power displays, and possibly even LCD monitors, will become wider and wider in the future. With the addition of multi-touch support for WIN7, more and more LCD monitors are available, and this novel approach to control is gaining acceptance because it is easier and more intuitive. But the future of displays is definitely not limited to this, getting rid of the shackles of the screen is the real direction of development, and "empty-handed" control displays are definitely not a dream. 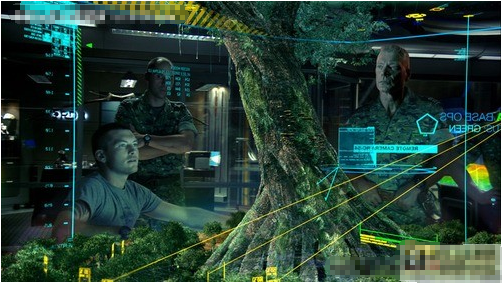 Displays of future displays in many science fiction films, such as the touch-screen display used by Tom Cruise in Minority Report and the stereoscopic control display in Avatar, are not entirely imaginary. Recently, the Fraunhofer Institute has designed a more robust gesture operating system, and it is facing the virtual three-dimensional space. 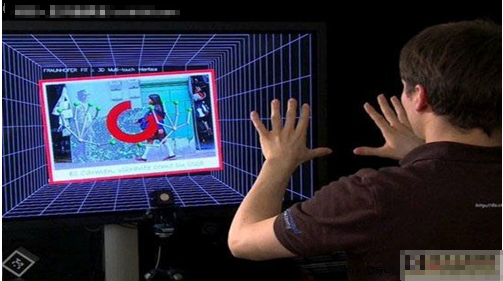 Craunhofer created this FIT gesture manipulation 3D virtual system does not require users to wear special gloves or other marks, it can directly identify the user's palm and finger changes, and this into the corresponding command, support multi-user operation. The system uses a 3D camera to capture the user's gestures. Based on the TOF flight time principle, it calculates the flight time of the light through the difference in the light path between the illuminated and reflected light, and then conjectures the shape and distance of the object. The system still uses a very special graphical analysis algorithm that filters out the rest of the contours of the palm and fingers, according to the report. There is still plenty of room for improvement, however, and changes to the watch and palm convenience will have an impact on the accuracy of the system. The video demonstrates palm, finger recognition, image generation, selection, movement, zooming in and out, deletion, and phrase spelling. Now the mainstream of the liquid crystal display are used backlight tube through the liquid crystal panel, in the electric field, the liquid crystal molecules will be arranged on the changes, thus affecting the light through its changes, the light changes through the polarizer can be manifested as light and dark changes. In this way, people through the control of the electric field ultimately control the light changes, so as to achieve the purpose of displaying the image. The future of displays in the display principle will be greatly changed, such as the recently fried OLED display technology is different from the traditional LCD display, no backlight, using a very thin coating of organic materials and glass substrate, when the current through, these organic materials will be luminous. And OLED display screens can be made lighter and thinner, with a larger viewing angle and significant power savings. 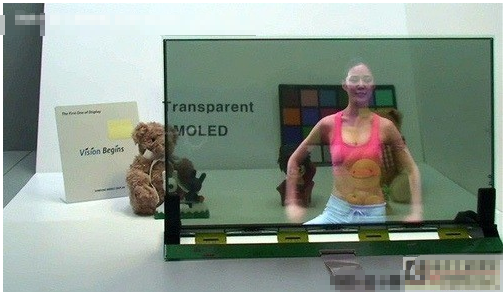 Although OLED technology is not mature enough, especially the transparent screen display is not satisfactory, but can not rule out the future will be more excellent technology and materials, display transparency is also the future direction of possible development. From CRT to LCD, are based on the plane display, but the application of the plane display has certain limitations, portable devices if you can use the flexible display screen, the scope of application can be expanded, such as bank cards and various types of cards for networking services, wallets, storage tanks and so on. If the screen can be bent, in public, advertising displays can be affixed to pillars, fan-shaped corners and other uneven surface, the public domain application more flexible. 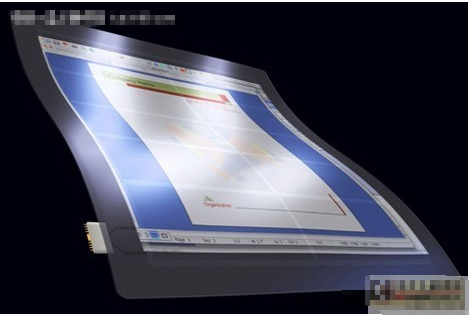 Future displays are bendable and foldable. The larger the size of the display, you will find corner viewing will be a bit laborious, and viewing will form a larger visual angle, affecting the use, and multi-screen mosaic is highlighted stiff. If the screen can be bent, not only will it solve the problem of viewing too large a screen, but multi-screen splicing will also create the most desirable ring visual effects, and even make spherical splicing that will surround the user in a spliced screen. With LCD as the mainstream display technology, it is very difficult to achieve curved surface display. First, it needs backlight support; second, the glass substrate used in liquid crystal panel does not have flexible characteristics. To achieve the surface display, can only look to the latest display technology, such as OLED, or good light transmission soft material made of the display, and so on.